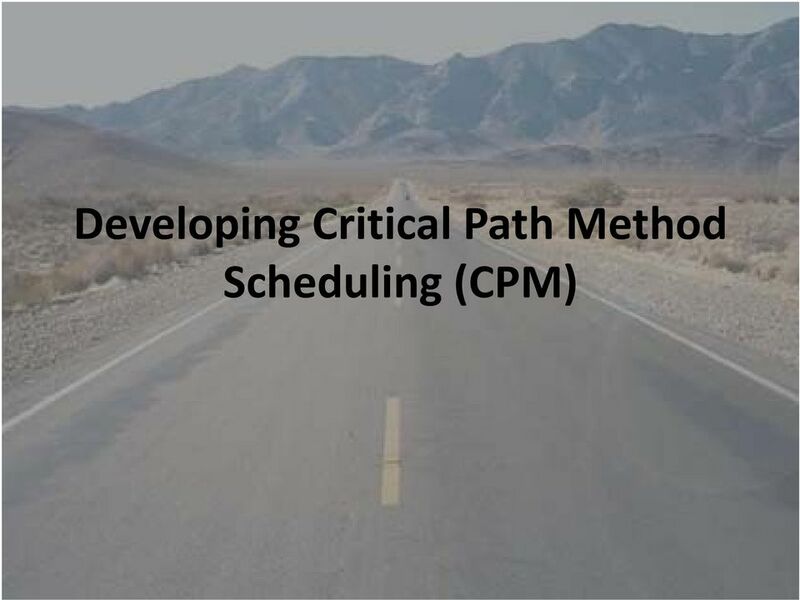 Download "Developing Critical Path Method Scheduling (CPM)"
17 Determining Contract Time Production Rate What is Production Rate? 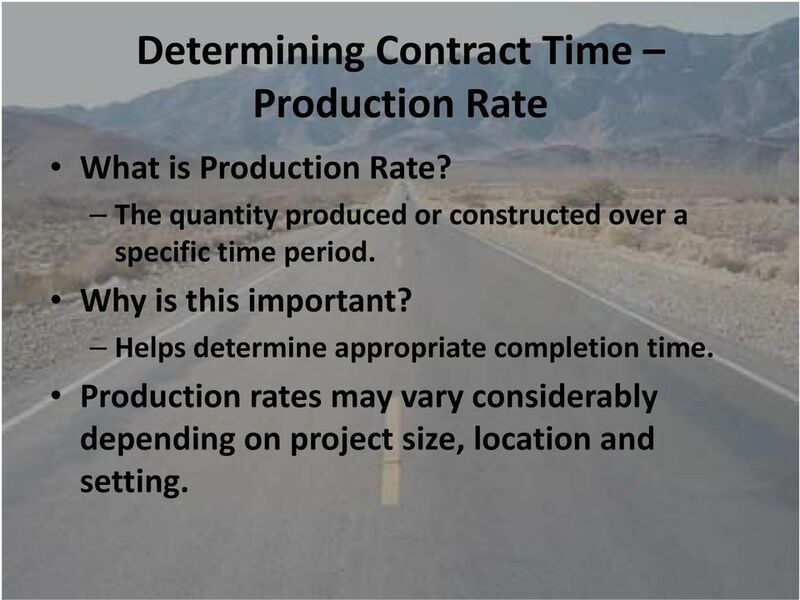 The quantity produced or constructed over a specific time period. Why is this important? Helps determine appropriate completion time. 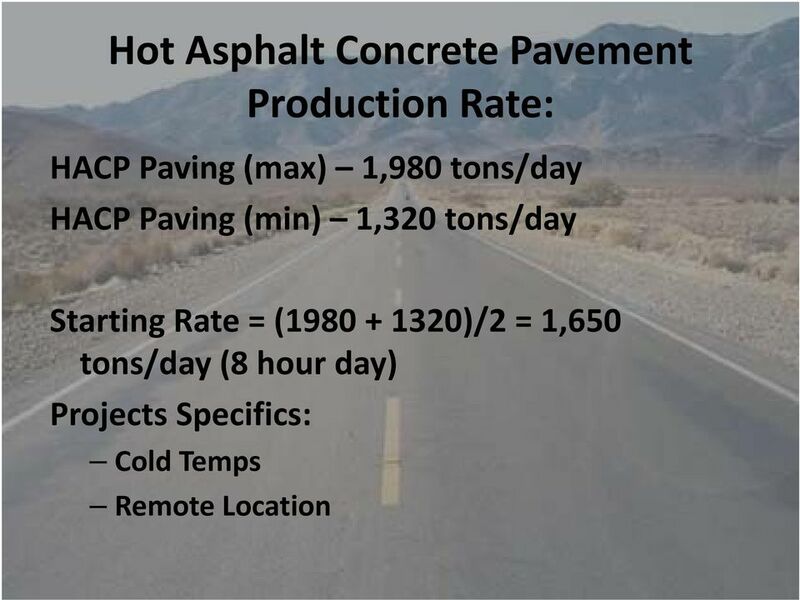 Production rates may vary considerably depending di on project size, location and setting. 22 Defining the Work Day Work hours establish the daily work times. Standard work day is an 8 hour day. 23 Defining the Project Calendar Defines project s work and non work days Saturdays, Sundays, Holidays Other Contractual non work days Local Events Task Calendars define work that can only be performed at a specific time and date. 24 Activities A key factor in any realistic schedule is to include the right activities. Consider each project as unique. 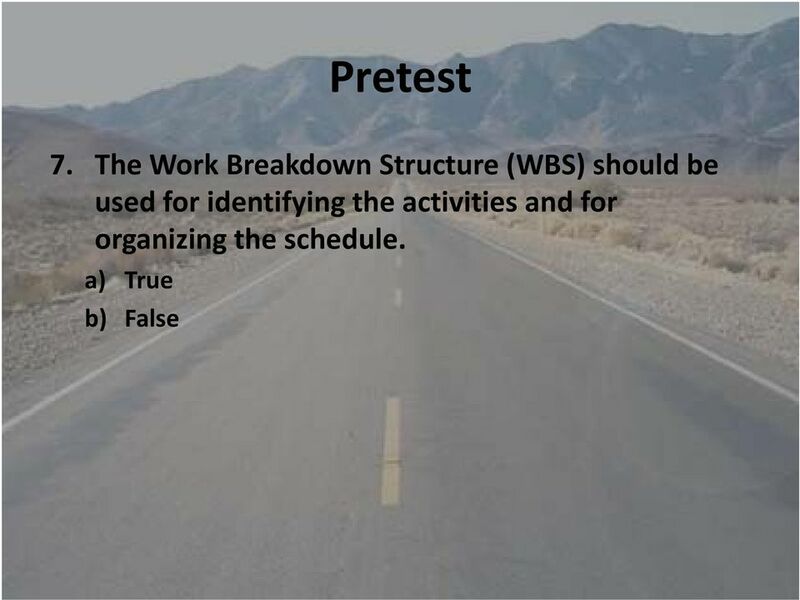 Break project scope into individual id activities iti Work Breakdown Structure (WBS) should be used for identifying the activities and for organizing the schedule The number of activities depends upon the complexity of the project Once Activities are identified and grouped, determine the general sequencing of the activities. 28 Activity Durations Setting durations is a critical step to creating a reasonable schedule. 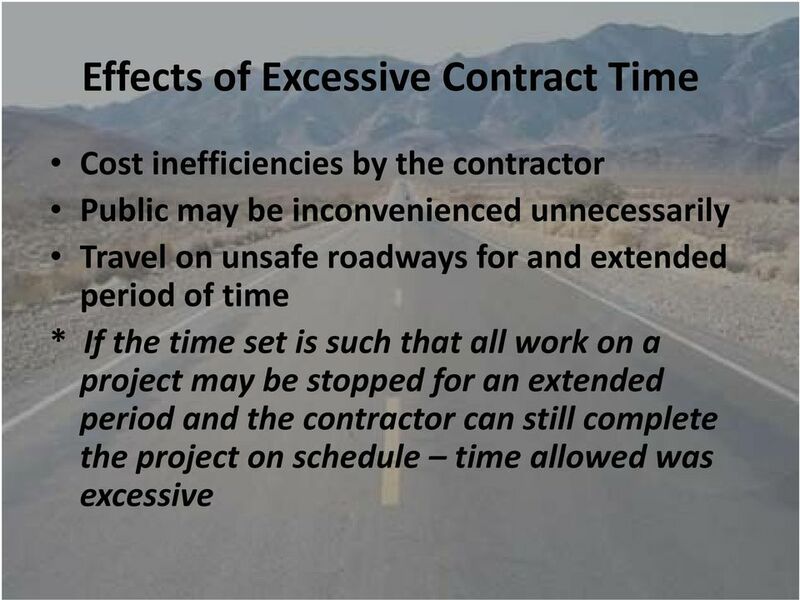 Factors effecting time should be taken into consideration. 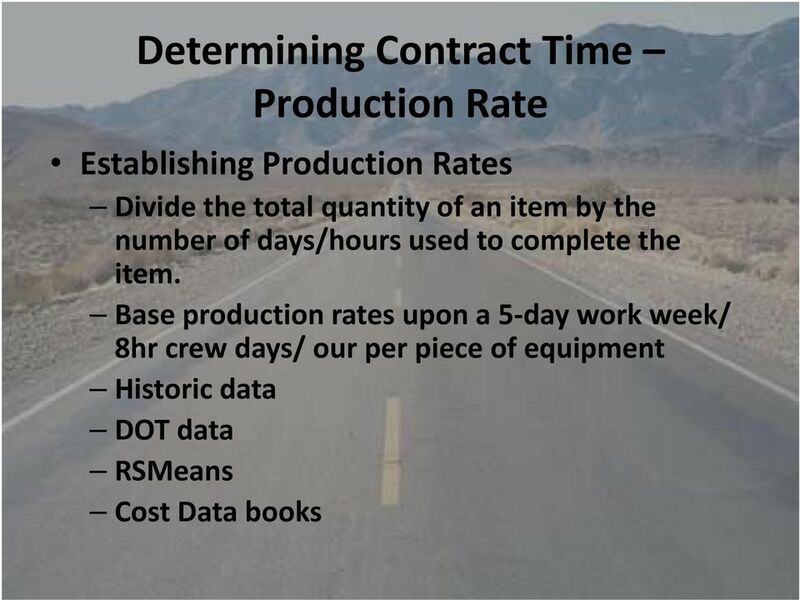 Adjust activity ii durations based on production rates. Try and limit the duration for any activity to 20 days. 29 Link Activities Determine activity relationships Late Finish (LF): The latest time an activity can be finished. Late Start (LS): The latest time an activity can be started without delaying completion of the project. 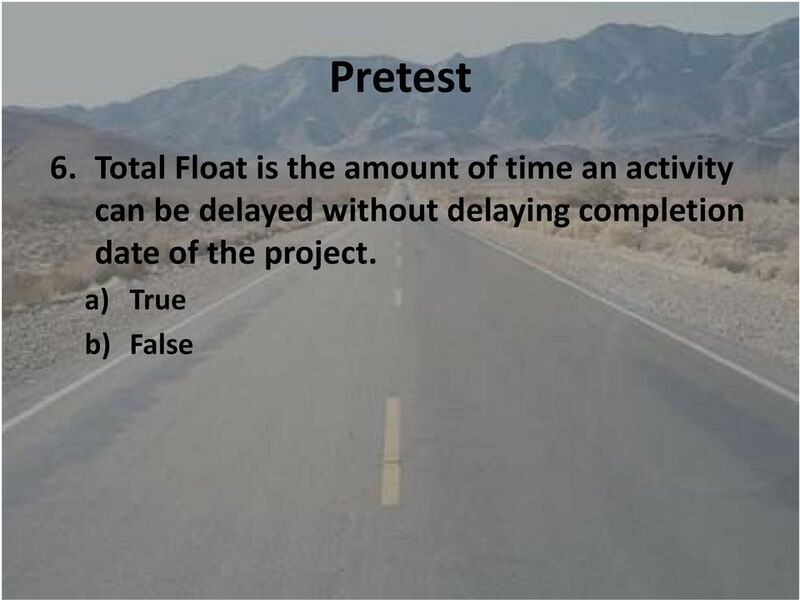 LS = LF D Total Float: The amount of time an activity can be delayed without delaying completion date of the project. 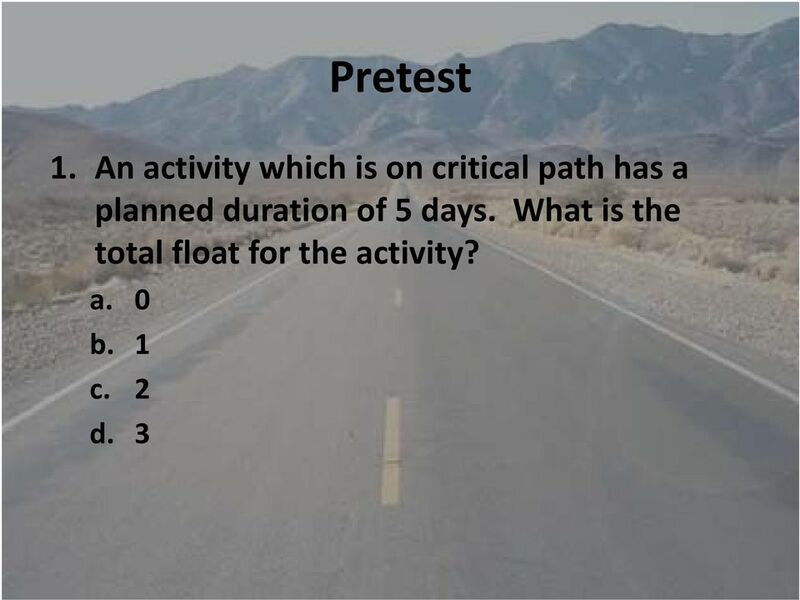 TF = LF EF + LS ES Free Float: The amount of time an activity can be delayed without delaying early start time of the following activity Critical Path: A series of connected activities with each activity having zero float (free, and total) time. 30 Link Activities The order in which activities will be performed is called logic How one activity relates to another activity is called logical relation Finish to Start Finish to Finish Start to Start Defining proper logic requires understanding of the project There is always more than one correct logic for completion of a project. 32 Update A Schedule is only a tool! 33 Check List Reviews/Submittals Are there critical submittals? What Time is needed? 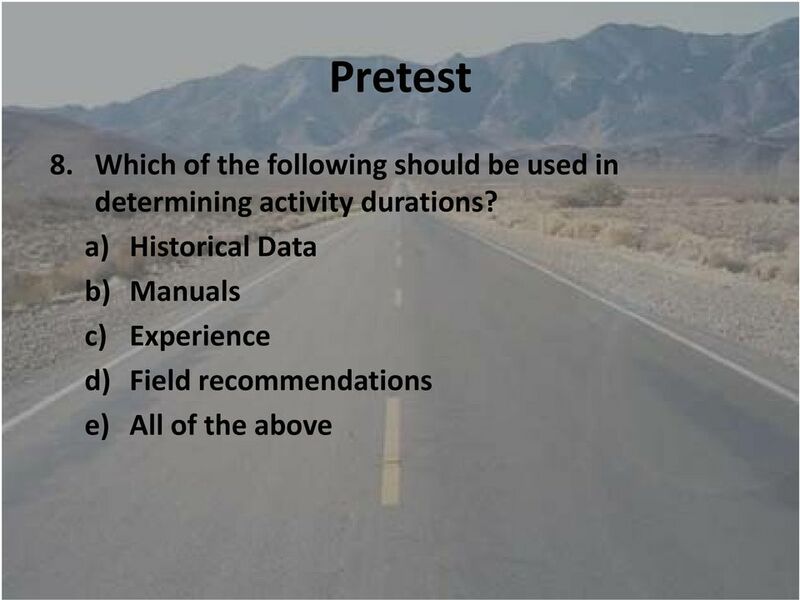 Are there critical testing periods & how long? Are there critical review times & how long? 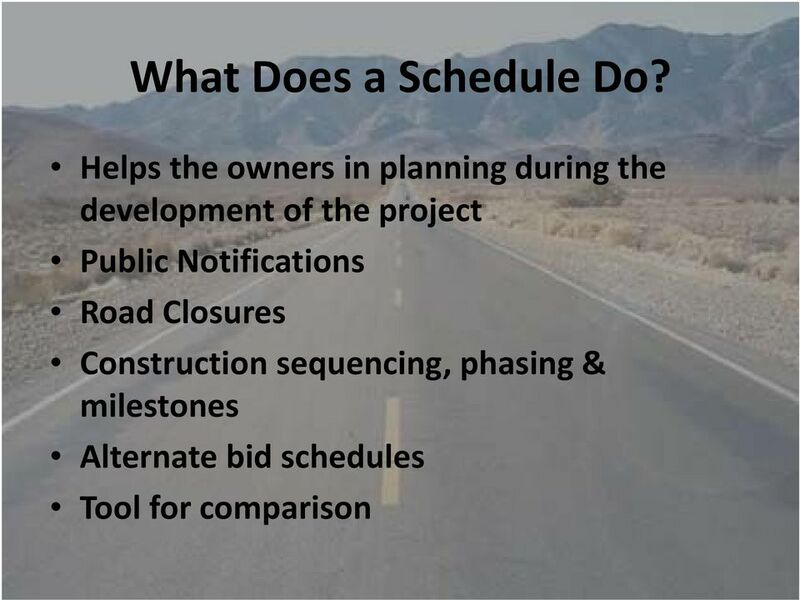 What are the assigned calendars for submittals & review times? 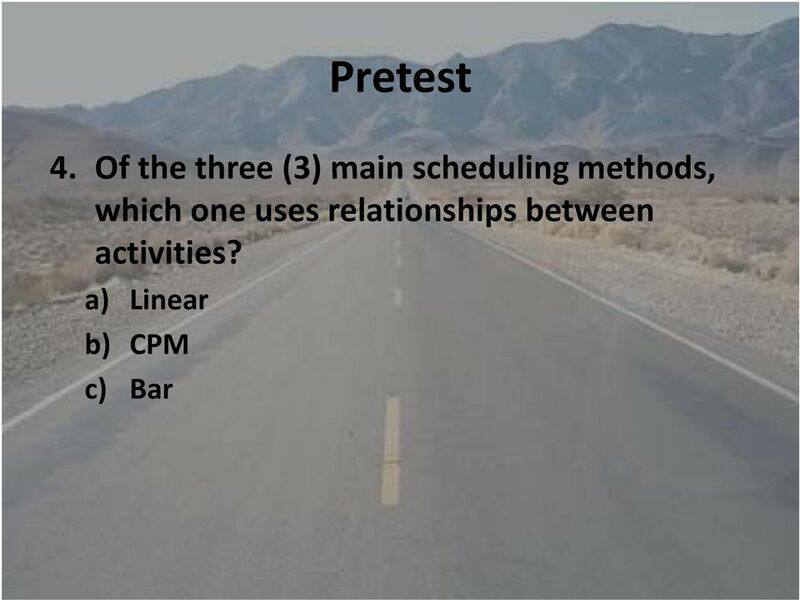 What are the logical connections between review activities and contractor s actual work? 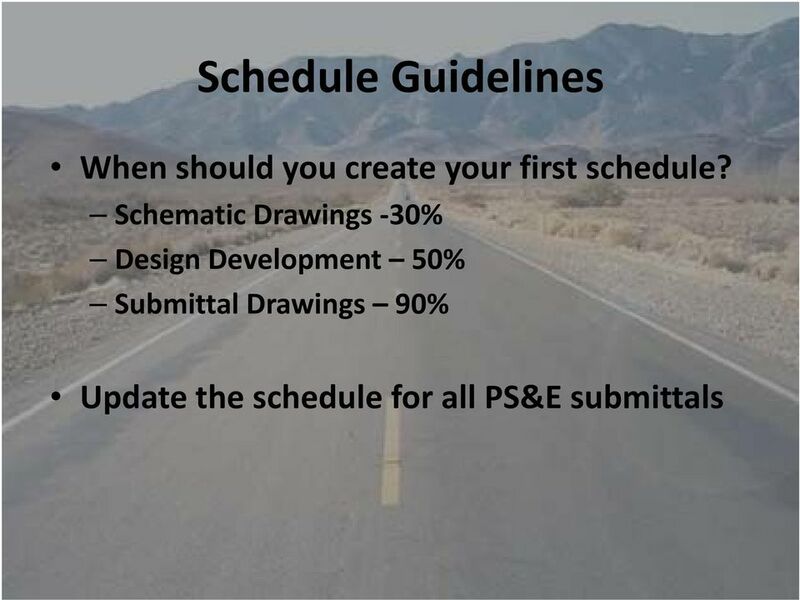 Procurement activities Time for reviewing false work plans, shop drawings, post tensioning plans, mix designs, etc. 34 Check List Permits Are permits required? Time to obtain necessary permits? 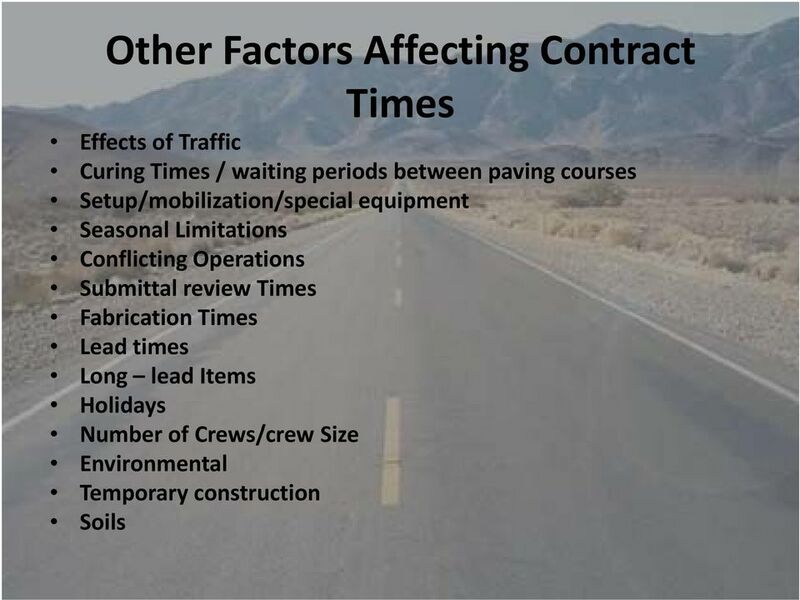 37 Check List Construction Limitations and Requirements Haul characteristics Type of earthwork (sliver cuts, benching) Work area restrictions Equipment congestion Allowable bad weather days Material availability Labor shortages and resource loading Traffic Volumes Traffic staging events (closures, detours) Critical interface activities (utilities, RR) Restrictions for nighttime and weekend operations Conflicting operations of adjacent projects, both public and private Are the NTP and Project Closeout activities shown? 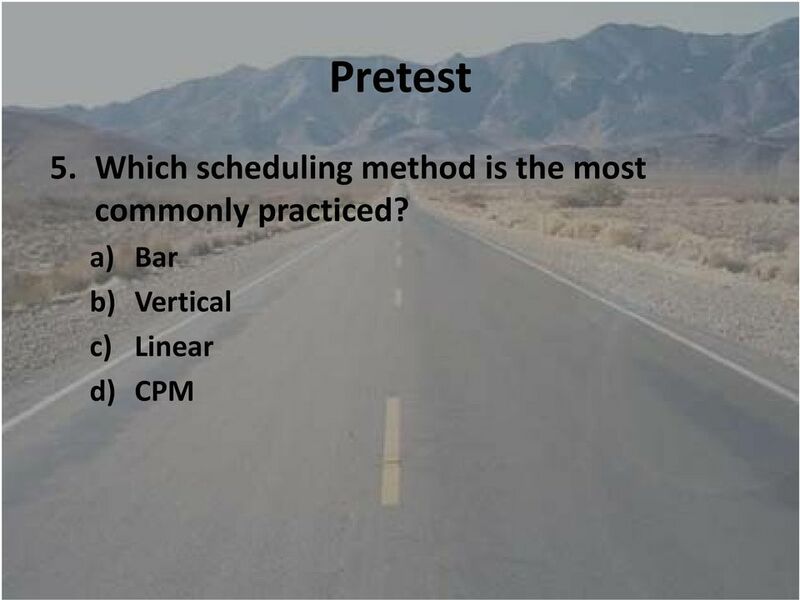 39 Check List Does the final schedule include/show: Critical Path? NTP date and completion date Entire scope of work, all activities in plans and specs? 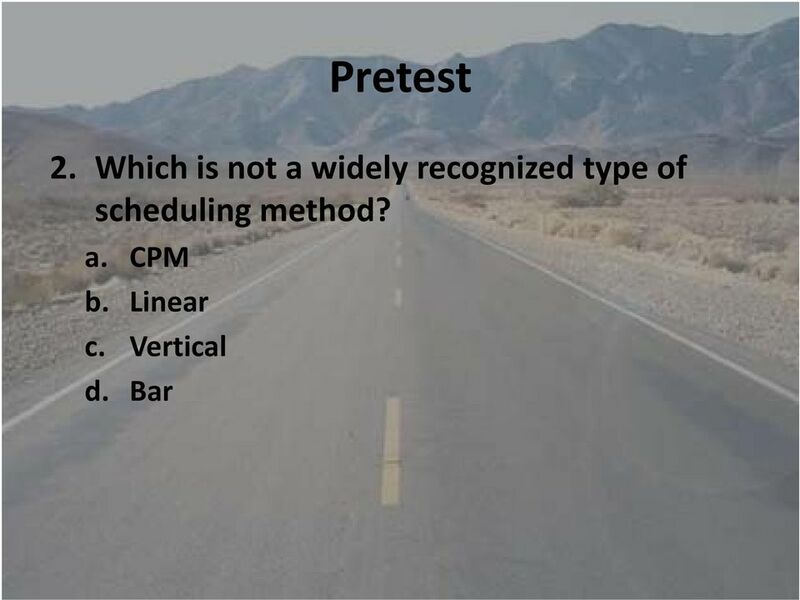 Construction Staging and mobilization? Realistic duration of individual activities? Maximum 20 day duration for any one activity? Activities have at least one predecessor and 1 successor? 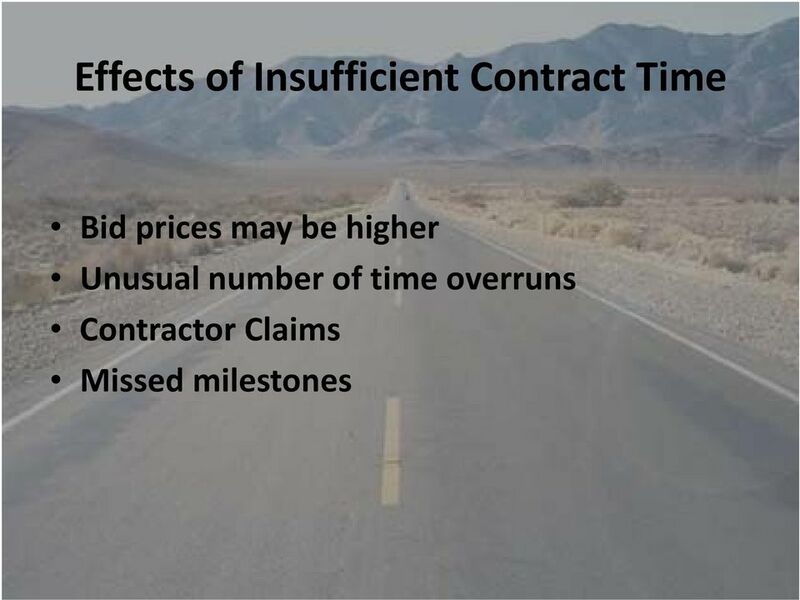 No negative lag for activities/ Project Duration, Interim Milestones, Black out dates, contract work days? 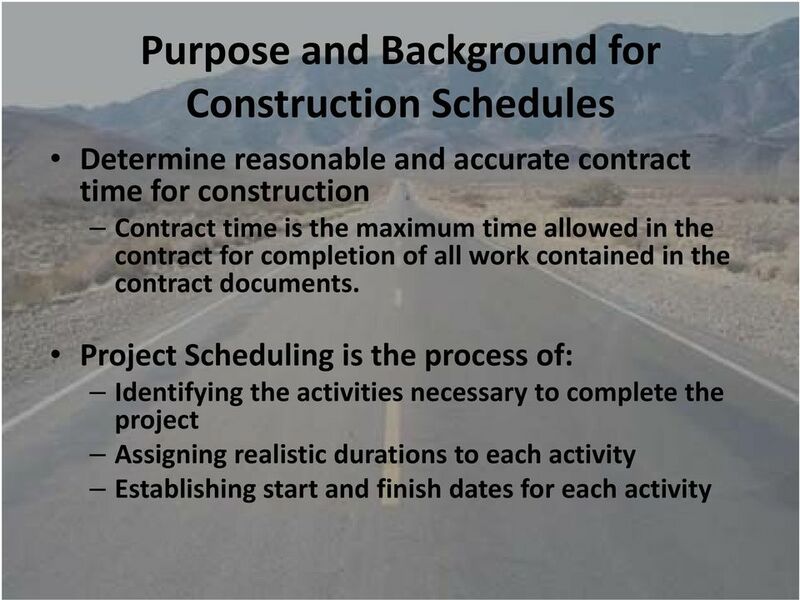 The Change in Status is used to start, suspend or resume time charges on a project or to indicate that the project is completed. 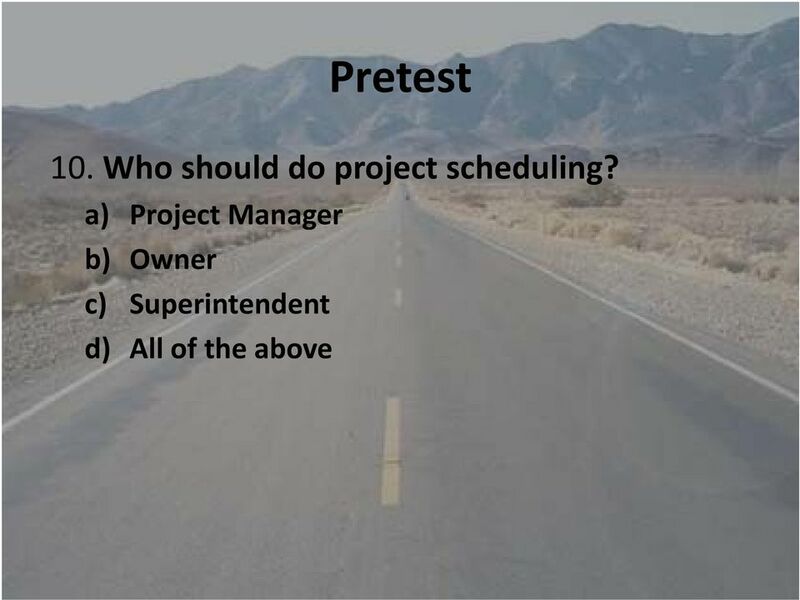 Structures Construction Pre-Work Checklist PRE-WORK SHEET FOR PROJECT MANAGERS 1 Proposal & Plans Received? 2 Review Proposal, highlight important facts. Know proposal well to be able to find answers quickly.